Comments Off on Specific Performance-­Readiness & Willingness—Purchaser sent notice after two years and eight months and suit was filed on last date of limitation—Apart from the statement of purchaser there is no other evidence to show that he was repeatedly approaching the seller—Relief of specific performance held to be rightly declined. 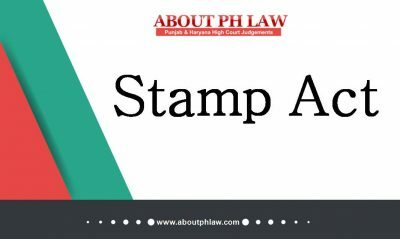 Comments Off on Specific Relief Act, 1963, S.20–Agreement to Sell-Specific Performance—It is not legal requirement that names of attesting witness are also written on agreement-Mere signature would be sufficient. Comments Off on Specific Relief Act, 1963, S.20–Agreement to Sell-Specific Performance- Limitation—Clause in agreement that sale deed would be executed after completion of partition proceedings—Thereafter, seller would give buyer one month notice and to get the sale deed executed—Instrument of Partition/ Sanad Takseem was prepared in partition proceeding but seller did not inform the purchaser—In cross appeal this fact came on record that sanad takseem has been prepared and only its implementation is pending—Suit for specific performance was filed on coming to know about the partition proceeding—Suit held to be within limitation. Comments Off on Agreement to Sell—Readiness and Willingness—Buyer not to furnish detailed sources and accounts towards each and every penny &f the balance sale consideration—Other attending circumstances would also have to be taken into consideration. Agreement to Sell—Readiness and Willingness—Conduct of the defendant can be seen only after the plaintiff is able to establish his case. Comments Off on Agreement to Sell—Readiness and Willingness—Conduct of the defendant can be seen only after the plaintiff is able to establish his case. Agreement to Sell—Specific performance— Executant of agreement was suffering from seizure epilepsy—She resided with her brother (opposite party) for getting treatment — Her IQ was such that see cannot understood the intricacies of legal issues—Held, Once the executant was not is sound disposing mind suit held to be rightly dismissed. Comments Off on Agreement to Sell—Specific performance— Executant of agreement was suffering from seizure epilepsy—She resided with her brother (opposite party) for getting treatment — Her IQ was such that see cannot understood the intricacies of legal issues—Held, Once the executant was not is sound disposing mind suit held to be rightly dismissed. Specific Relief Act, 1963, S.20–Agreement to Sell—Specific Performance-­ Contradiction regarding testimony of witnesses regarding denomination of sale consideration and place of where amount was paid—Courts below had decreed the suit on proving of agreement to sell—Keeping in view, overall circumstances decree upheld. Comments Off on Specific Relief Act, 1963, S.20–Agreement to Sell—Specific Performance-­ Contradiction regarding testimony of witnesses regarding denomination of sale consideration and place of where amount was paid—Courts below had decreed the suit on proving of agreement to sell—Keeping in view, overall circumstances decree upheld. Agreement to Sell—Protection of Possession—Once the suit for specific performance stands dismissed, then protection under S.53-A of TP Act is no longer available. 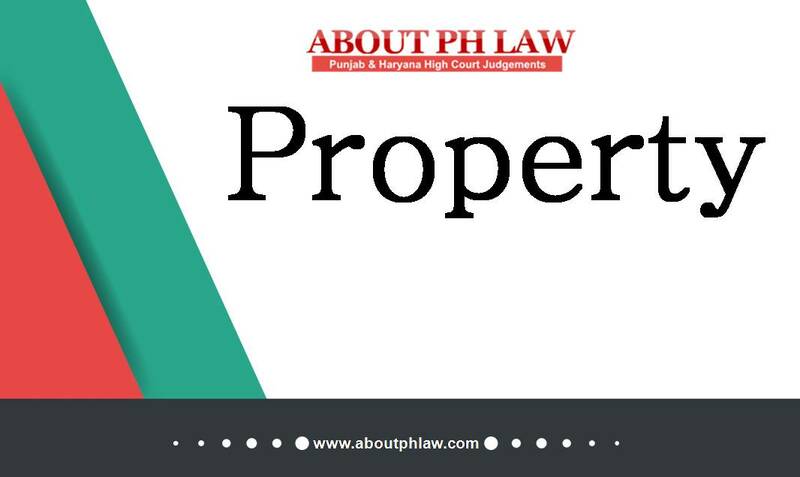 Comments Off on Agreement to Sell—Protection of Possession—Once the suit for specific performance stands dismissed, then protection under S.53-A of TP Act is no longer available. Specific Relief Act, 1963 -Agreement to Sell-Specific Performance-The authenticity of the documents is not in doubt, it is not possible to hold that the contents thereof were not known to any of the signatories to those documents-­ Suit decreed. 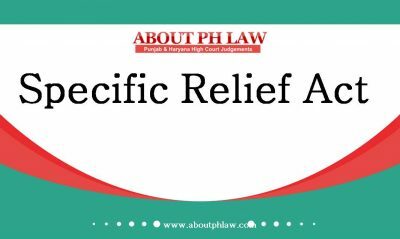 Comments Off on Specific Relief Act, 1963 -Agreement to Sell-Specific Performance-The authenticity of the documents is not in doubt, it is not possible to hold that the contents thereof were not known to any of the signatories to those documents-­ Suit decreed. Agreement to Sell—Suit for specific performance based upon an unregistered agreement to sell shall not be dismissed for want of registration. Comments Off on Agreement to Sell—Suit for specific performance based upon an unregistered agreement to sell shall not be dismissed for want of registration.